Many employers will be made to reveal how much they pay men compared with women, under the Equalities Bill. Firms employing at least 250 staff would be required to publish average hourly rates for men and women by 2013. The Bill also aims to tackle discrimination against the elderly and people from working class backgrounds. It has been backed by charities for the elderly but business groups called for a moratorium on new employment law and said it could delay economic recovery. Minister for Equality Harriet Harman pledged the bill would help to "narrow the gap between rich and poor and make Britain more equal". She told the BBC businesses would have until 2013 to voluntarily publish pay rates but added "old prejudices" had to be tackled if the economy was to prosper. She also said "gagging clauses" - under which employees are ordered not to reveal details of their pay - would be banned under the Bill. "This is about employers coming clean with their employees," Ms Harman said. "Unless we can see it workplace by workplace it stays swept under the carpet - that unfairness stays hidden and we can't tackle it, if it's hidden." The government had promised the bill, which will also ban age discrimination outside the workplace, in its manifesto before the last election. Forty years after the introduction of the Equal Pay Act, women in the UK still earn on average 23% less per hour than men. But business leaders say small firms are already struggling to cope with a "mass" of employment law. Miles Templeman, director general of the Institute of Directors, said: "This is a further example of unnecessary regulation at a time when companies, particularly small and medium-sized enterprises, are struggling to survive." David Frost, director general of the British Chambers of Commerce, will tell its annual convention on Monday that the government too often sees the answer to a problem as being more legislation. "The result of this will mean that it will take longer to get out of recession and companies will be loathe to take on more employees," he will say. 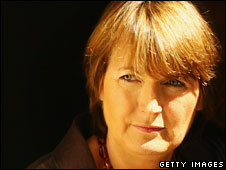 But Ms Harman said there was "no excuse for having unfairness when times are difficult". "The economies and societies which will prosper in the future are not those that have rigid hierarchies, where women know their place and where you can't go forward because of the colour of your skin," she said. The bill also aims to ban age discrimination. Ministers want older people to pay for services, such as insurance, based on the actual risk they face, rather than an arbitrary age-based cost. This has the backing of charity Age Concern and Help the Aged. However, the Association of British Insurers has denied its members' policies are unfair, saying they simply take account of risk. The bill will also give public bodies in England and Wales, including councils and health authorities, a new "social economic duty" - something that is already done in Scotland. For example, health trusts will be required to target services, such as stop-smoking clinics, at people in deprived areas - where smoking rates tend to be higher. Education authorities will also be expected to come up with policies which prevent children from poorer backgrounds from missing out on places at the best schools. Ministers say evidence shows that by the age of six, bright children from poor families are overtaken by less able children from wealthier homes and that people in deprived areas tend to suffer more from ill health. However, Ms Harman has insisted the bill will not mean working-class people are given precedence in job applications or on waiting lists for services. Shadow minister for women Theresa May said too many people faced discrimination because of their race, gender, religion, age and background. But she said "real action" was needed rather than "exercises in box ticking". "We're concerned that too many of the proposals in this bill will be bureaucratic and expensive without providing real results," she said. "For example, Labour's proposal for compulsory pay audits for all companies, rather than those proven to have broken the law, will simply waste time and money without making any difference to pay discrimination."